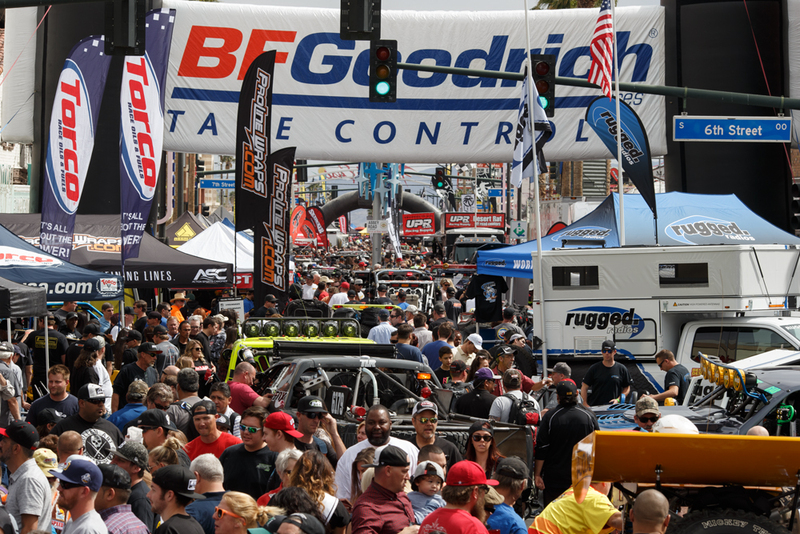 This Saturday, the 2016 Polaris RZR Mint 400 presented by BFGoodrich Tires will take over screens across America as part of the Red Bull Signature Series, a collection of the most progressive and innovative events in action sports. 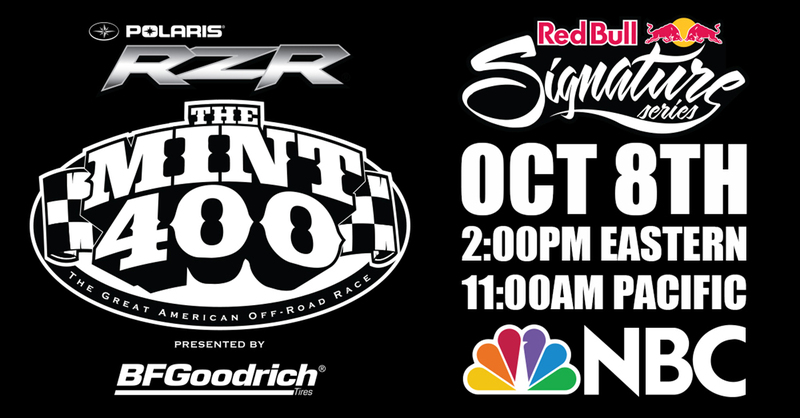 The two-hour broadcast of The Mint 400, showcasing the largest and most prestigious off-road race in America, is set to air on NBC Saturday, October 8th at 2:00pm EST / 11:00am PST. 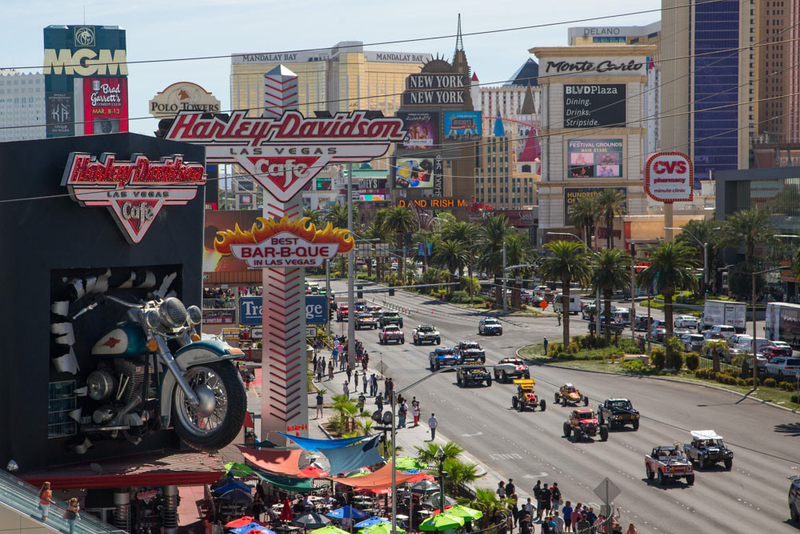 The Mint 400 program will be available to view on Red Bull TV the week of October 10th. 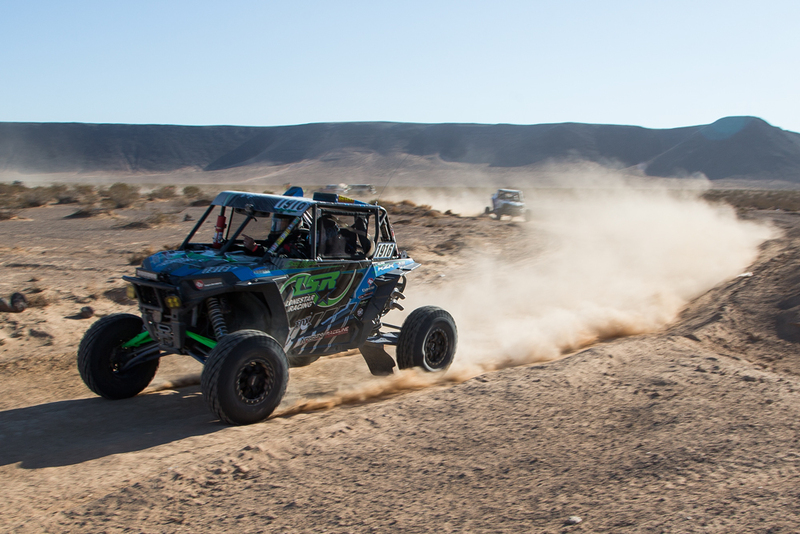 Mad Media, the off-road production powerhouse based in San Diego, California – has produced uninterrupted national coverage of the famed race for seven consecutive years. 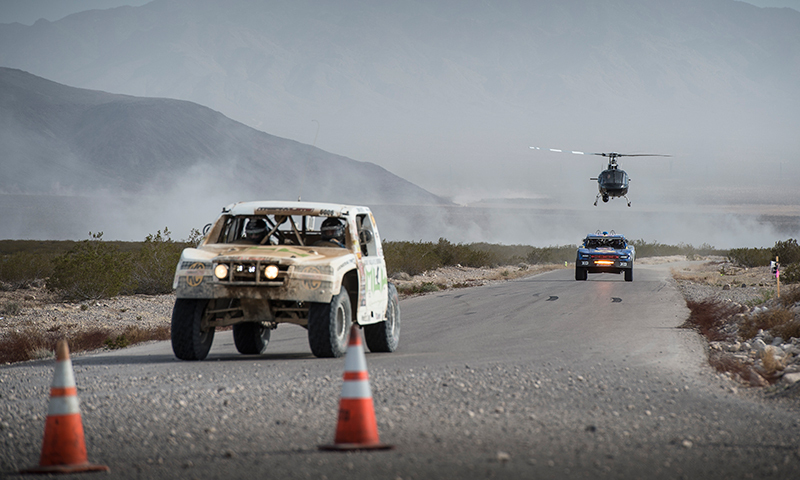 They are best known for producing the first three Gymkhana films, and most recently the “XP1K” series for Polaris RZR. 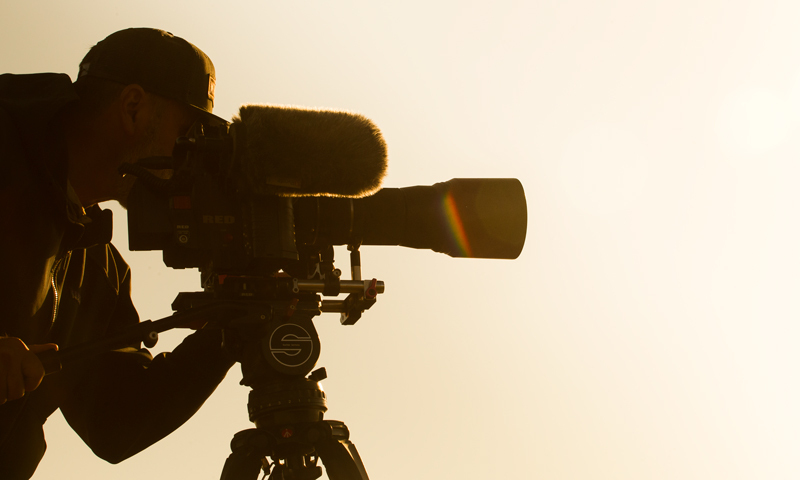 In addition to their widely successful branded viral video work, they produce TV coverage of the Polaris RZR UTV World Championship as well as national commercial projects for a variety of automotive clientele.